Course Website: Official Website - Visit Big Sky Resort's official website by clicking on the link provided. 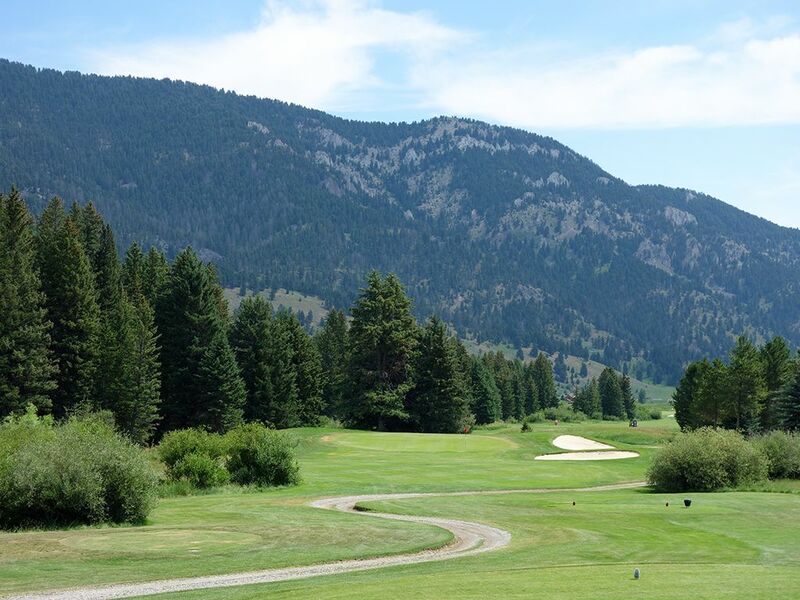 Accolades: Ranked 16th in Montana on Golf Course Gurus' Best in State list. 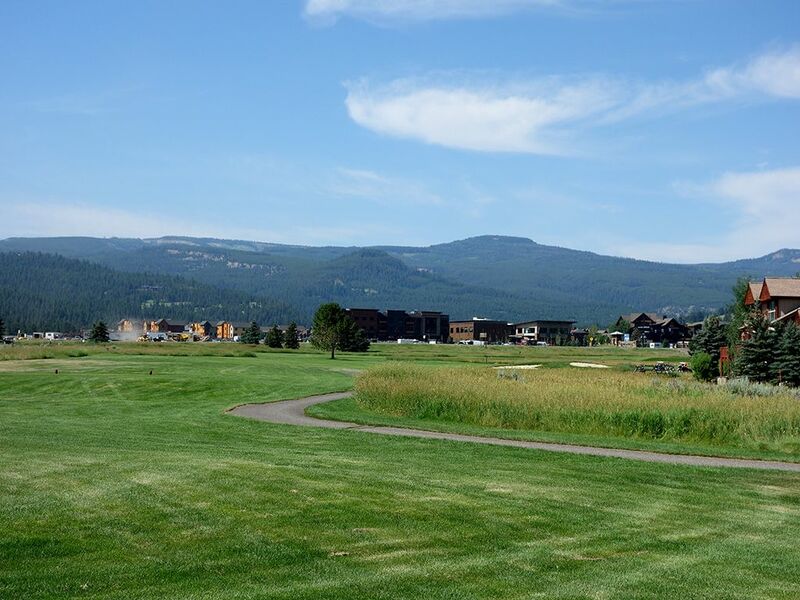 What to Expect: Big Sky is an Arnold Palmer layout and the only public course located between the famous ski town and west entrance to world renowned Yellowstone National Park. 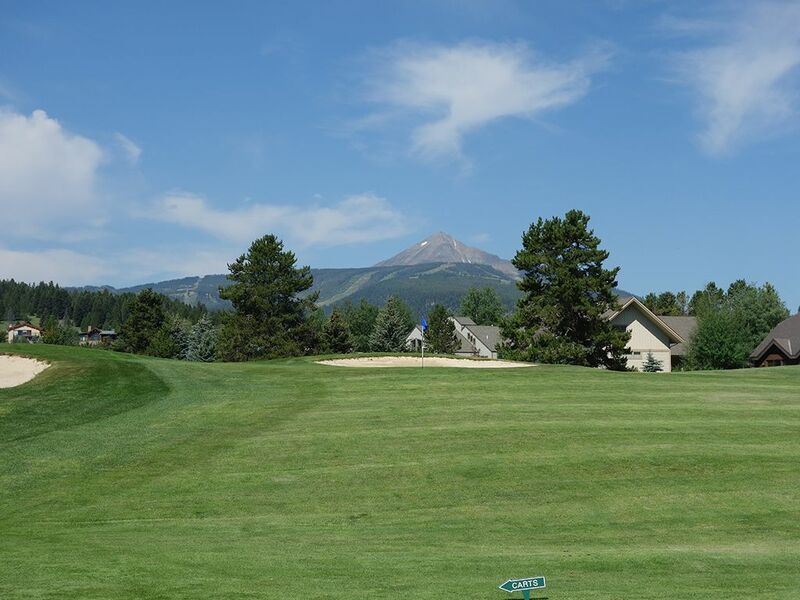 While one might expect Big Sky to offer a dramatic mountainside setting, the course is actually fairly flat and is located near the center of the small resort town which offers convenience to get to but less drama in the layout. The hillside vistas surrounding the property are counteracted by the busyness of the roads and development that constantly remind you that you haven't fully escaped the real world. The opening and closing holes are some of the best as they play the furthest away from the nearby development and create an enjoyable feeling of isolation. Big Sky is very playable for patrons of all ages and skill levels with multiple tee boxes and few forced carries; a smart move that generates loyalty from players. There are also enough bunkers and hazards in the layout to keep things interesting without being overly penal. While the season can be relatively short (late May to early October), the course is maintained in great shape with greens that are very receptive and easy to fix ball marks on. While not a municipality owned facility, the course reminds me of some of the better munis I come across with a solid offering you'd enjoy playing as your home course but not necessarily a track you'll be raving to your buddies about. 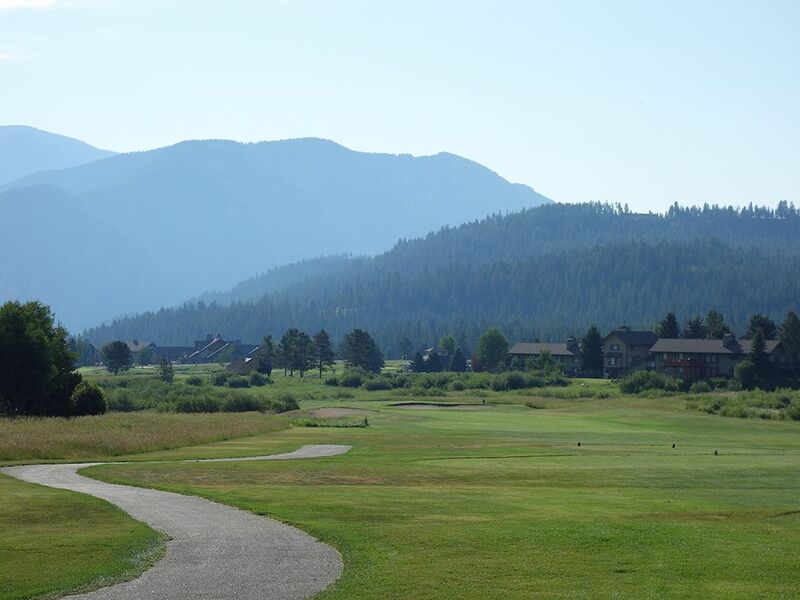 If you come to Big Sky or West Yellowstone during the summer then this is the most accessible track to play, and you'll be glad you did, but this isn't a golf trip destination. 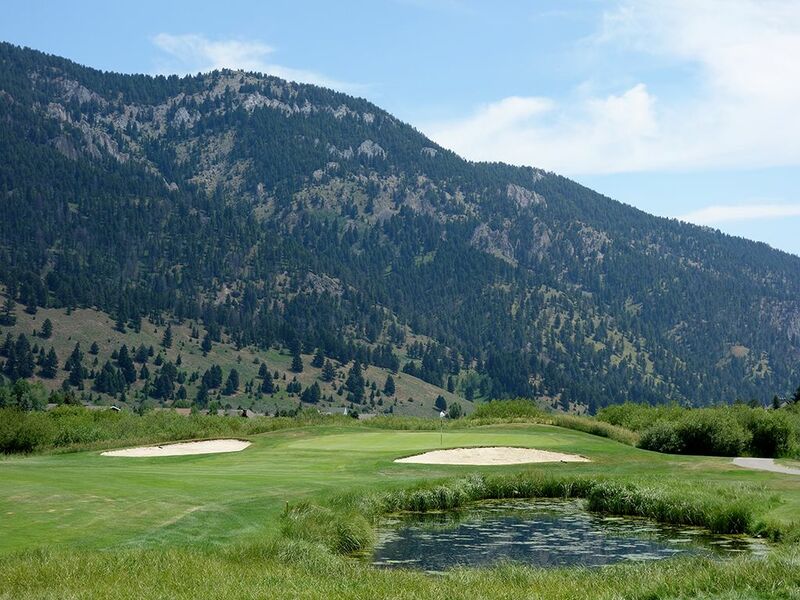 Signature Hole: 18th Hole – 423 Yard Par 4 – The closing hole at Big Sky is also its best with strategy and scenery melding to create a worthy finishing. The tee shot doesn't require driver as going too long can bring into play hazards you want nothing to do with and missing left may result in a lost ball. The approach shot plays over a pond to a green protected on the right by a bunker and mountains in the backdrop. 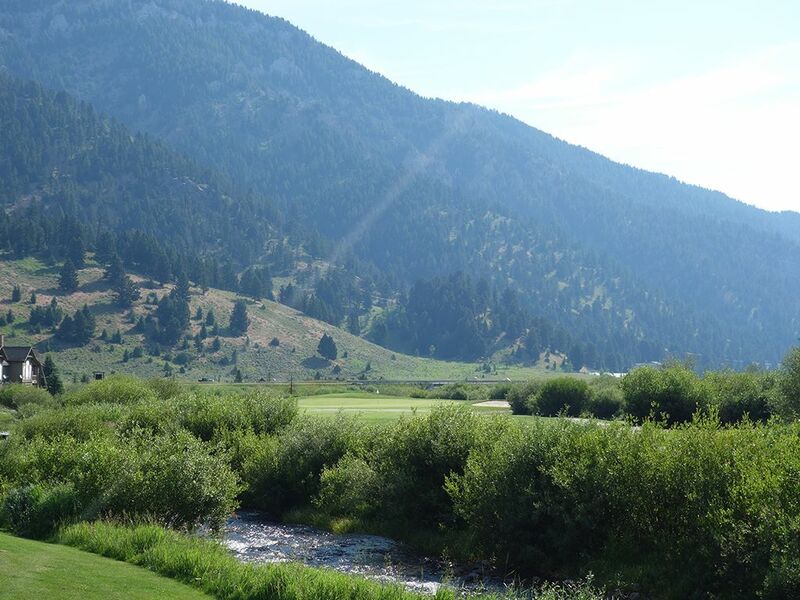 The strategy of how much club to hit off the tee combined with how much distance from the green you are comfortable with work together to form a quality conclusion to Big Sky Resort's offering. 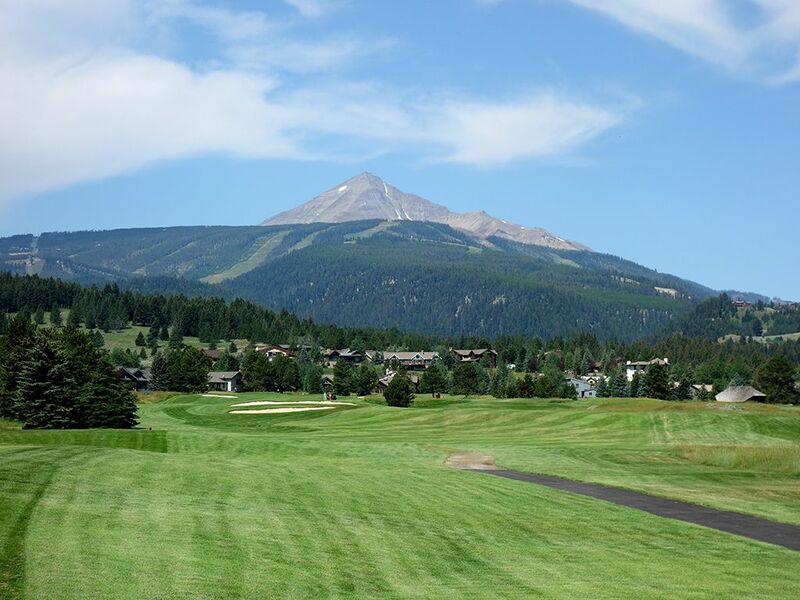 Best Par 3: 17th Hole – 190 Yards – The final two holes at Big Sky are clearly the highlights of the course as players are presented with impressive scenery and design. 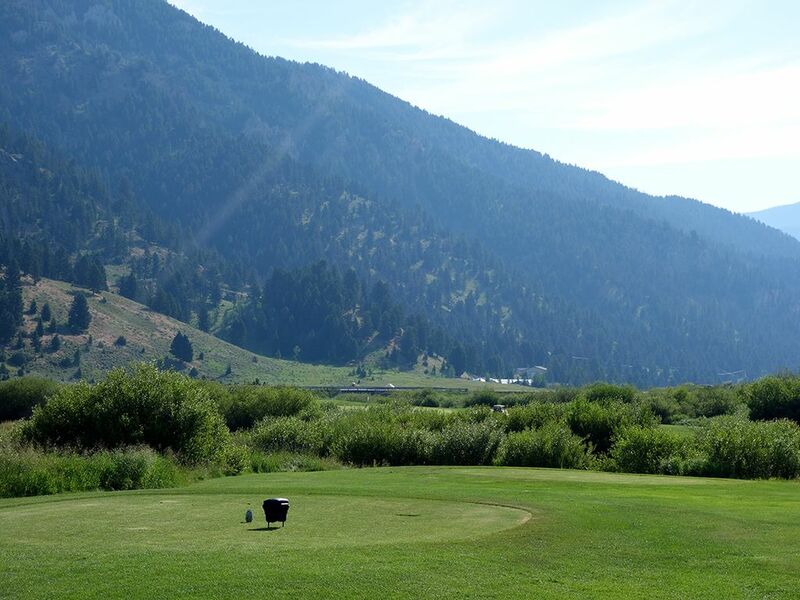 The 17th offers players a downhill tee shot to a back-to-front sloping green with an amphitheater of trees and the mountains providing the backdrop. As my playing partner said when we arrived at the tee, "Oh, now that is nice." Best Par 4: 10th Hole – 436 Yards – The best combination of tee shot and approach shot come together on the opening hole of the back nine and both shots can have semi-blind landing areas. This dogleg right features o.b. up the right side of the hole and should only be challenged by the most confident of players. The safer play is to the elbow of the dogleg which provides an ideal angle into the two-tiered green. Attacking a back pin may result in a blind landing location and the extra anticipation that comes with wondering how close you may have stuck it. Best Par 5: 15th Hole – 553 Yards – With thin mountain air as your ally, this par five is reachable in two with a pair of well struck shots. Prudent players will favor the right side of the fairway despite the inferior angle in order to avoid the o.b. along the left side that marks the border between the golf course and the main road that runs through Big Sky. The approach shot plays to an elevated green and the turf conditions are soft so you need to plan on flying your ball the whole way for your best chance of finishing on the putting surface. Birdie Time: 2nd Hole – 526 Yard Par 5 – When I was checking in for our round I asked the employee what her favorite hole was and she responded with, "#2 because I can score well on it when I cut the corner and reach the green in two." Well, that analysis is spot on because cutting the corner of this downhill dogleg left hole can put a mid, or possibly low, iron in your hand and give you a great chance at reaching this green in under regulation. The approach plays a club downhill to a green with a wide open front that is receptive to both aerial and ground shots. This is a second of back-to-back generous holes that Palmer affords players before the real test begins. Bogey Beware: 3rd Hole – 235 Yard Par 3 – From the tips this hole is quite a bit more intimidating than from the forward boxes. At the back box players have limited view of the green and no view of any bailout areas as the bushes along the stream this hole plays over have grown to the point that you simply can't see where you are headed. As such, making a confident swing is difficult to convince oneself of which is never a good scenario when trying to hit a 235 yard shot. From the forward tees players can see that the stream cut across and frames the left side of the hole with bunkering providing protection of the green. There is some room to bail to the right but not much before more bushes come into play. Hopefully you picked up a stroke or two on the opening holes because you are likely to give one back here.